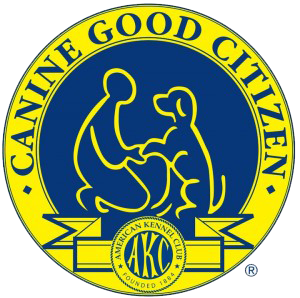 Loretta Cleveland is certified to give The Good Citizens Test from the American Kennel Club. Your dog must pass ten exercises to pass the Good Citizens Test. If your dog passes, you will receive a certificate from The American Kennel Club! This is a great way to get your dog prepared for therapy work. 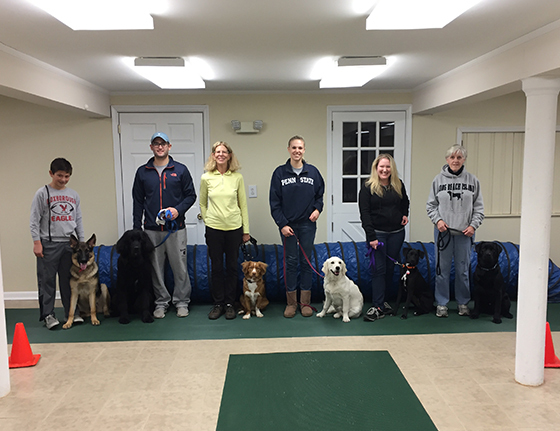 We also offer group classes to prepare your dog for the test. Started in 1989, the CGC certification program is designed to reward dogs who have good manners at home and in the community. The CGC is a two-part program that stresses responsible pet ownership for owners and basic good manners for dogs. All dogs who pass the 10-step CGC test may receive a certificate from the American Kennel Club. Many dog owners choose Canine Good Citizen training as the first step in training their dogs. The Canine Good Citizen Program lays the foundation for other AKC activities such as obedience, agility, tracking, and performance events. As you work with your dog to teach the CGC skills, you'll discover the many benefits and joys of training your dog. Training enhances the bond between you and your dog. Dogs that have a solid obedience education are a joy to live with. They respond well to household routines, have good manners in the presence of people and other dogs, and they fully enjoy the company of the owner who took the time to provide training, intellectual stimulation, and a high quality life. We sincerely hope that CGC will be just the beginning for you and your dog and that after passing the CGC test, you'll continue training in obedience, agility, tracking, or performance events.